Speaking shortly after the closure of polling stations on Sunday (Nov.13), Dodon called on his opponent to preserve public order and abstain from protests. Dodon’s Russia sympathies are in direct conflict with the pro-European stance of the current government. 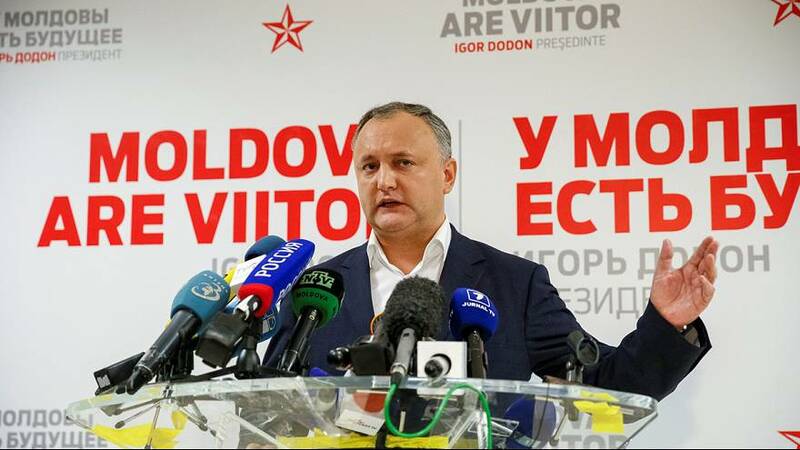 Dodon’s opponent who favours European integration Maia Sandu has complained of voting irregularities, highlighting the shortage of ballot papers for overseas voters. “Unfortunately, this election was badly organised. Polling stations in London, Bologne, Bucharest and Paris ran out of ballots today. Hundreds of people were not able to vote,” said Sandu. Enthusiasm in Moldova for the EU has waned some what since the country signed a political and trade agreement with the European bloc.The deal damaged its ties with Moscow, which in turn imposed trade restrictions on Moldovan farming exports.